This is a a webbing hitch I was taught when I was in the fire academy. I carry two in my gear and it can be used for a lot of different things. I carry mine for RIT or victim removal. 3) Make a bight with the webbing. 4)Use a pencil or any slender tool to push the bight through the cut you made (towards the end of the webbing). 5) Push the bight through the end. 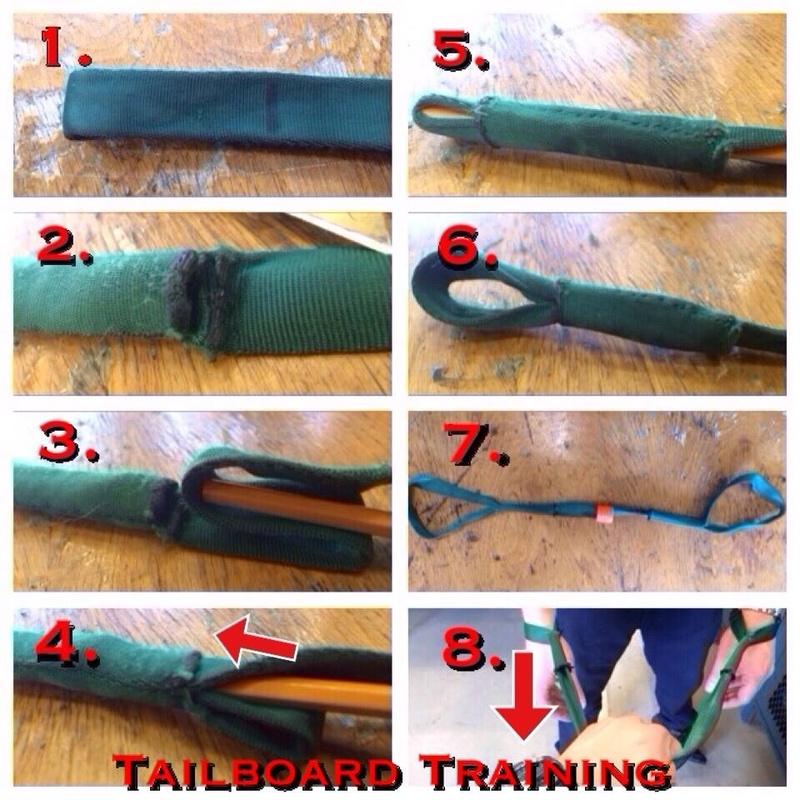 6) Grab the bight, pull some more webbing through and make the bight bigger. Pull from the side of the bight that isn't connect to the slit you made earlier. 7) Repeat steps 1-6 on the other side of the webbing. As you can see I use it to wrap around wrists to help move large victims or down firefighters. It tightens down as you pull. I like my bights to be large so I can put it around my wrists, grab the persons hands and slide it across to their wrists. Really helps in zero visibility. It can also to be used to carry four air bottles at once for high rise ops. It has tons of applications. Try it out.